Come to the YMCA for free on Labour Day! Come spend the day with us for free! Hope to see you soon. Come to the YMCA for free on Father’s Day! A day dedicated to all dads, granddads and even furbaby dads. Thank you for all that you do! Come to the YMCA for free on Mother’s Day! A day dedicated to all moms, grandmoms, and even furbaby moms. Thank you for all that you do! Come to the YMCA for free on Easter Sunday! 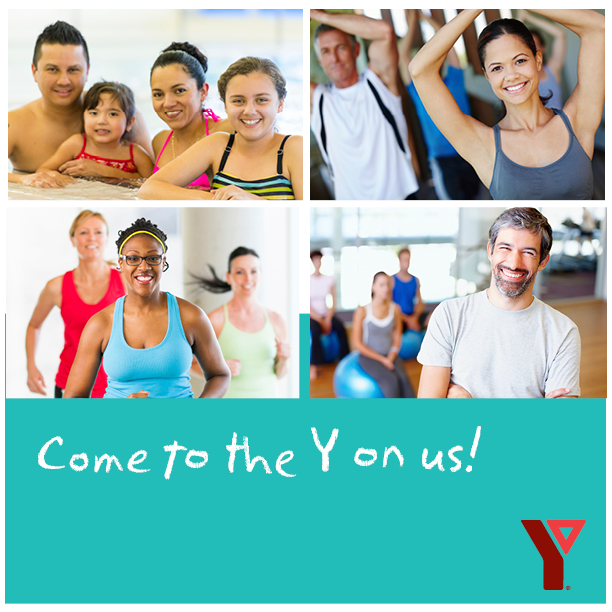 Spend the day at the Y on us. Hope to see you soon. Looking for an exciting Friday Night Activity? 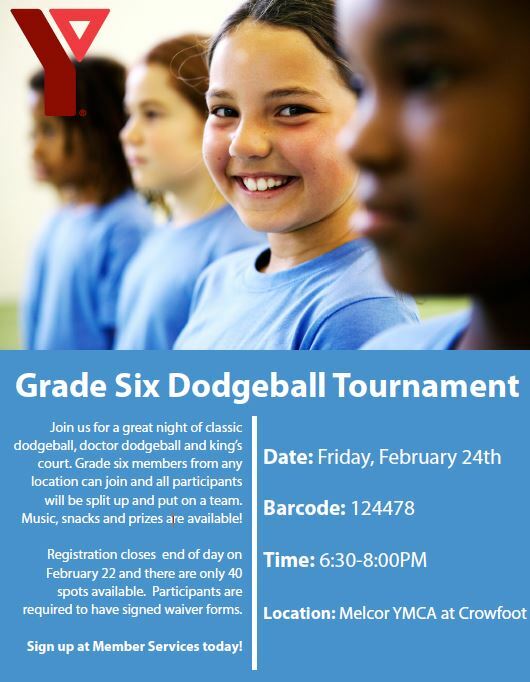 Why not register for our Grade 6 Dodgeball Tournament in March! Teams of 6 will compete against each-other in 3 minute rounds to battle for the Ultimate Title. Participants are welcome to sign up as a team or as individuals. All participants will receive a participation acknowledgement. The tournament will run 6:00-8:30 PM on Friday, March 4th. Four different, yet fast-paced variations of dodgeball will be played throughout the night. 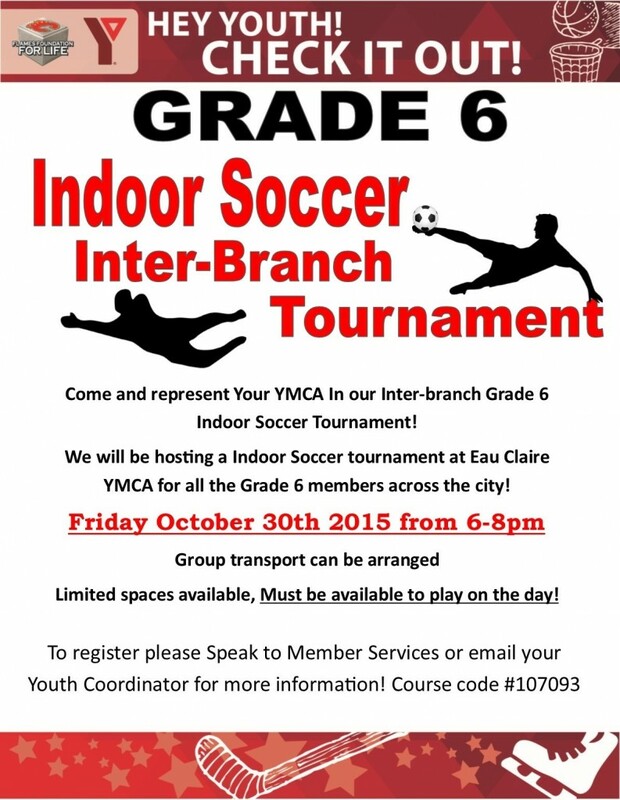 Instructions will be explained on the day of the tournament but are also available below. If you are interested in joining us for this challenge, you can click below to download our dodgeball registration form and rules. Be sure to drop by your home branch to hand in your form and register. Alternatively, you can contact your Branch youth team for more information. Bring your game face and we will see you there! 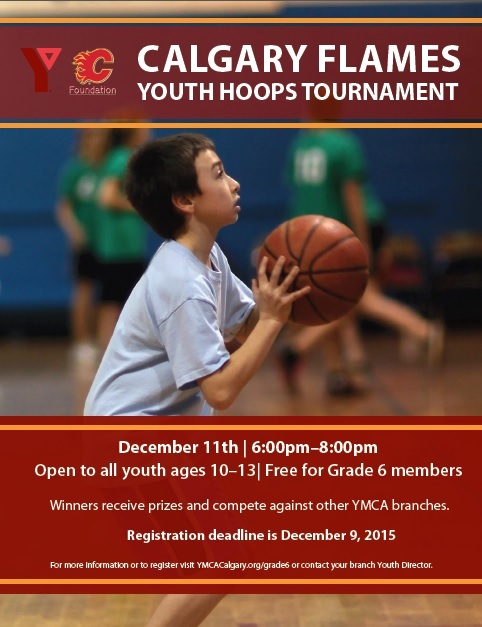 We will be hosting our second Calgary Flames Grade 6 member tournament. Registration for this event will Open on the 23th of November 2015, You can call your branch and register with member services or email your branches youth team. .
Must Be Available to play! Transport arrangements can be made from your home branch. 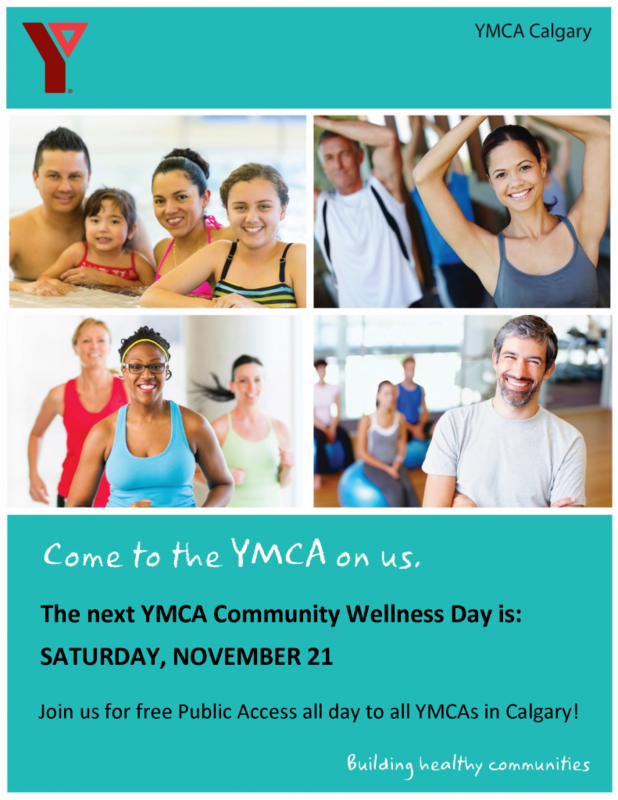 The next YMCA Community Wellness Day is November 21! Every YMCA Location will have free public access on this day. Come for a swim, shoot some hoops or use our cardio and strength areas. YMCA locations will also be participating in All Sport One City, a Sport Calgary and City of Calgary initiative to promote getting active! Check out the schedules for more information on programming and events. Please complete the medical form and return to your Branch Youth Team no later than Wednesday the 28th of October 2015! All YMCA locations will be following holiday hours today.